This archival, water-based paint extends well when mixing, is highly lightfast and water-resistant once dry. Featuring 24 brilliant, hue-based colors, these paints contain no harmful pigments and are cadmium- and cobalt-free. Available in 2.5oz. tubes. 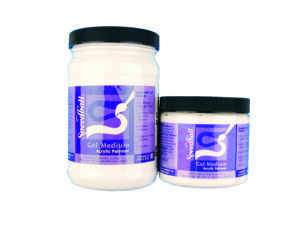 Speedball Gel Medium is used for extending Speedball Acrylic Paint and controlling transparency. It can be mixed with acrylic paints to produce thick glazes, increase gloss and control color brilliance. This medium may be used as a top coat to create a textured gloss finish. Available in pint, quart and gallon sizes. 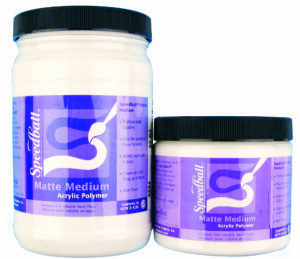 Speedball Matte Medium is used for extending Speedball Acrylic Paint and minimizing gloss. It can be used as a substitute for gesso on canvas when a translucent ground is desired. This medium may be used as a top coat to create a "flat" finish. Great for collage, decoupage, scrapbooking, altered book-making and faux finishing. Available in pint, quart and gallon sizes. 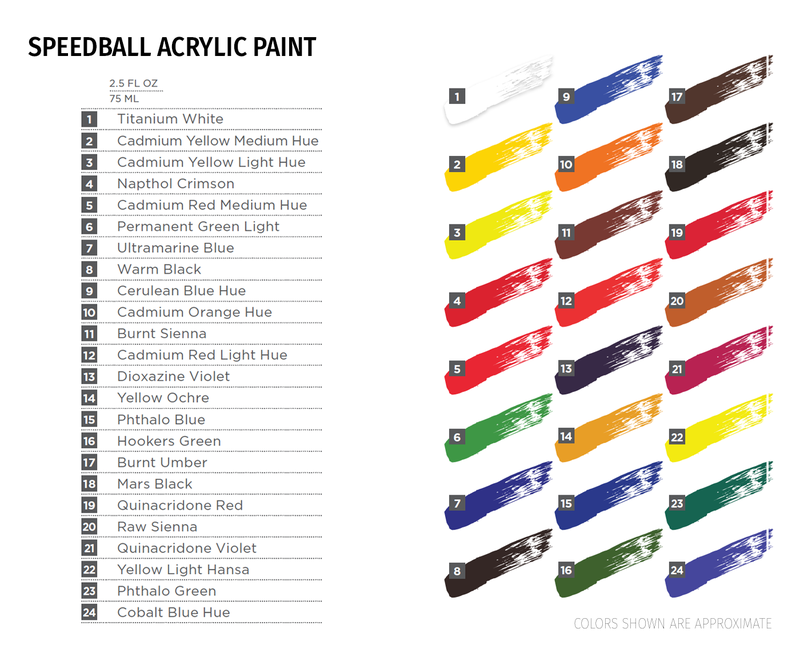 Speedball Gloss Medium is used for thinning or extending Speedball Acrylic Paint. It can be used to create glazes and to heighten the translucency and sheen of a color. It may be used as a top coat to create a gloss finish and is great for collage, decoupage, scrapbooking and altered book-making. Available in pint, quart and gallon sizes. This multi-purpose modeling paste allows artists to achieve three-dimensional effects by producing thick areas of texture that are also lightweight. 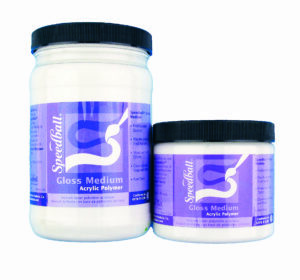 Speedball’s Modeling Paste dries quickly and may be painted, carved or sanded once dry. Ideal for painting, sculpture and crats, this modeling paste will not darken or yellow over time. Available in pint, quart and gallon sizes. 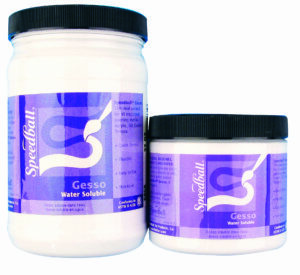 Speedball Gesso may be applied by brush, roller or squeegee and is ideal for use with both acrylic and oil paints. Available in pint, quart and gallon sizes.